Over 700 new Catholics will enter the Catholic Church in the Archdiocese of Baltimore at Saturday’s Easter Vigil. Seven hundred and two people will enter into full communion with the Catholic Church at the solemn Easter Vigil Mass on Saturday, April 7. A total of 252 elect or catechumens (the un-baptized) and 450 candidates (already Baptized in another Christian Church) will participate in the celebration of initiation. The number of individuals to be baptized Catholic represents a 10 percent increase over last year. During the Easter Vigil liturgy, the catechumens will receive the sacraments of Baptism, Confirmation and Eucharist and the candidates will be received into the full communion of the Catholic Church. There are currently over 500,000 registered Catholics in the Archdiocese of Baltimore, the oldest Catholic diocese in the United States. Over 1,000 youths participated in last Saturday’s annual Lenten youth pilgrimage in Baltimore. 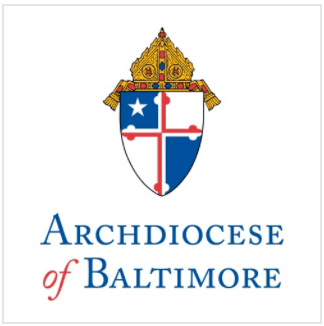 Cardinal Edwin O’Brien will celebrate the Easter Vigil Mass at the Cathedral of Mary Our Queen in North Baltimore April 7, 2012 at 8 p.m. The remainder of the Holy Week schedule can be found at www.archbalt.org.